Miller and others v Secretary of State for Exiting the European Union  UKSC 5 was highly anticipated as perhaps the most signficant constitutional case of this generation, stirring up such strong reactions that the judges of the Divisional Court who initially decided in favour of Ms. Miller were dubbed “Enemies of the People”. Two months after a majority of an 11-member Supreme Court confirmed that prerogative powers could not be used to invoke Article 50, however, the European Union (Notification of Withdrawal) Act 2017 (hereafter referred to as the “Withdrawal Act”) received Royal Assent, conferring power on the Prime Minister to give the notification required to begin the process of the United Kingdom’s withdrawal from the European Union. The passage of the Withdrawal Act fulfilled the constitutional requirements identified in Miller formally, within the purely political timetable set by the Prime Minister at the Conservative Party’s conference and without any additional legal requirements being imposed by way of amendment. This not only sets the stage but also prepares the way for a more permanent sidelining of Parliament as the supreme legislative body in the UK’s constitution as part of the process of leaving the European Union. The UK’s constitution has endured as a representative democracy for over three hundred years, its uncodified nature enabling the settlement reached in the 1680s to encompass changes including progressive widening of the franchise, devolution to Scotland, Wales and Northern Ireland, the passing of the Human Rights Act 1998, the creation of a Supreme Court and entry into hundreds of international treaties. Simon Renton recalled the relevance of the historical context to constitutional law in particular, and while he focused on the passing of the European Communities Act 1972, the longer historical context and the reasons for Parliament’s sovereignty, as well as the overall direction of constitutional travel, should be borne in mind when considering future constitutional changes. The consquence and practical result of a sovereign Parliament is that Acts of Parliament occupy the summit of the domestic legislative hierarchy. Richard Ekins has posited that a given piece of legislation is an Act of Parliament because it has gone through a certain process (debate in both Houses, scrutiny in Committee, approval by Commons and Lords and Royal Assent). This builds scrutiny and democratic legitimacy into the nature of primary legislation, and provides a substantive reason for it to prevail over statutory instruments and other subordinate rules. Some argument in Miller centred around whether only an Act of Parliament (as opposed to, say, a resoluton of the House of Commons) would be required for the Article 50 decision, and it was decided that it was. EU legislation also goes through processes of debate, consultation and input from experts before being approved at the EU level, even though in order to be directly applicable at the UK level it may have been implemented by statutory instrument under s2(2) of the European Communities Act 1972 or be directly effective without further action. These categories of rules will need to be imported into UK law when the UK leaves the EU in order to ensure continuity. This is likely to be an enormous task, as there are currently over 20,000 EU statutes in force of which a quarter are directly effective and do not currently appear on the UK statute book. The importation of these rules, plus the changes which will be necessary to ensure they continue to function as desired (e.g. substituting the names of UK institutions for the EU bodies which currently carry out regulatory functions) will be carried out by the Great Repeal Bill (“GRB”). When the Article 50 notification is given, barring unforeseen circumstances such as the notification being declared to be revocable and then being revoked, the passing of the GRB will become a practical necessity, and its importance is such that the Constitution Committee have already produced a report anticipating some of the constitutional issues that might arise from it. The Constitution Committee emphasise the distinction between the mechanical, politically neutral task of importing EU law into UK law and the significant policy choices which will need to be made in the process of reviewing and amending the accumulated corpus of 40 years’ worth of rules. For the aforementioned reasons this distinction must be determinative of the approach to review instead of the formal distinction between primary law and statutory instruments. Ideally rules would be reviewed and considered either by Parlament or by the executive, with the level of scrutiny and democratic accountability applicable to the replacement or amendment of these rules depending on the importance, complexity and difficulty of their subject-matter. This will prevent the eventuality warned of by the Constitution Committee, of the executive making significant policy changes for which it is not held to account in politically signficant or particularly contentious areas. However, the task as a whole is vast and overwhelmingly complex, and as the Institute for Government has pointed out in its report “Legislating Brexit” , will potentially displace the normal legislative programme to a great extent for the duration of the Brexit process, as it will involve 10 to 15 new Bills – 20 are passed in the average year – and “thousands of pages” of secondary legislation… with fewer than two complete parliamentary sessions to do the job.” By 2015, Reform were warning that parliamentary scrutiny of primary legislation was already so weak that “executive power over legislative scrutiny makes a farce of Parliament’s independence” and that delegated legislation, which eclipses Acts of Parliament in terms of volume passed each year, “largely escapes parliamentary scrutiny.” Parliament’s size is limited, and set to fall to 600 MPs should planned boundary changes go ahead; given that Brexit seems likely to cause its workload almost to double it seems inevitable that the influence and control exerted by the elected House of Commons can only decline even more dramatically, resulting in huge problems of democratic legitimacy. However, accountability to and scrutiny by Parliament does not only confer democratic legitimacy on legislation which is generally initiated and drafted by the executive, it also assures its quality and workability. However, the strain on the Civil Service is likely to be as great as the strain on Parliament. Sir Bob Kerslake warned in the Guardian that the Civil Service was unprepared for the extra requirements of Brexit and would require significant numbers of new personnel, while the House of Lords Constitution Committee noted the long lead-in time for the recruitment and training of new staff, urging plans for recruitment and expansion as soon as possible. However, the Civil Service is also facing severe resource constraints. Professor Anand Menon was quoted in the Financial Times expressing his surprise that DEFRA did not receive any additional funding in the Budget, despite being faced with the task of formulating a whole new policy in an area which was previously exclusively the province of the European Union and against a background of significant cuts (of around 20%) in recent years. Both the Constitution Committee and the Institute for Government provide suggestions to increase accountability and scrutiny during the course of Brexit. A common theme is the use of Committees and provision of information and communication with the public and between branches of government. However, against this background of limited time, resources and expertise, the Government’s seeming determination not to engage is of great concern. For example, most recently the Foreign Affairs Select Committee Report on the potential consequences of “no deal” on Brexit wrote that “we would normally expect the Government to submit evidence to all our inquiries… in the light of the strong public interest in reducing uncertainty around the potential outcome of the Article 50 negotiations” (paras 4-5). The Joint Committee on Human Rights were more emphatic, calling the Lord Chancellor’s refusal to attend and give evidence “unacceptable” and their inability to set out a clear vision as to its expectations of Brexit’s impact on the UK’s human rights framework “regrettable”. The rejection of all amendments to the Withdrawal Bill, statements that the introduction of amendments by the Lords (whose function of “checking and challenging” the work of government is likely to be highly significant in the next few years) was “disappointing” and the practice of justifying policy changes by reference to the referendum result and the “will of the people” are all worrying signals of the Government’s attitude. Other measures could be included in the GRB to limit the potential for wide Henry VIII powers further to erode the supremacy of Parliament. Professors Tierney and Elliott quote the Committee’s view that adding a sunset clause to ensure that domesticated EU law is repealed after a set period of time, necessitating its re-enacting as UK legislation, will ensure that “the whole body of EU law would be properly debated and enacted by the UK Parliament”. They also note the Committee’s proposal for a provision similar to s19 of the Human Rights Act 1998, requiring a declaration in the Explanatory Memorandum to each statutory instrument that the instrument does no more than necessary to ensure that the relevant aspect of EU law will operate sensibly in the UK following the UK’s exit from the EU, or that it does no more than necessary to implement the outcome of negotiations with the EU. Professor Janet Hiebert spoke in her keynote speech at the 2016 Public Law Conference about the impact of s19 of the Human Rights Act 1998, noting several points of weakness: that there is little evidence that potential incompatibility with human rights provisions dissuades committed ministers, that the Opposition seldom raise rights arguments in the House of Commons and that rights-based amendments from the House of Lords are often voted down. To conclude, the process of leaving the European Union has the potential to be an overwhelming challenge not only to the machinery of government but also to the representative, democratic character of the UK’s constitution. As Baroness Smith of Basildon put it during debate on the Withdrawal Bill, parliamentary sovereignty is “about taking responsibility”, and there is only so much the courts can enforce even through a case like Miller or the electorate can do to hold the state accountable outside of a General Election; responsibility for making the changes which will be needed to ensure that Parliament remains functionally as well as theoretically supreme rests with Members of Parliament and the executive. Wednesday’s awful terrorist attack on Westminster reminds us of how valuable and precious Parliament is, and it is crucial that leaving the European Union not be allowed to entail a significant erosion of its crucial functions. 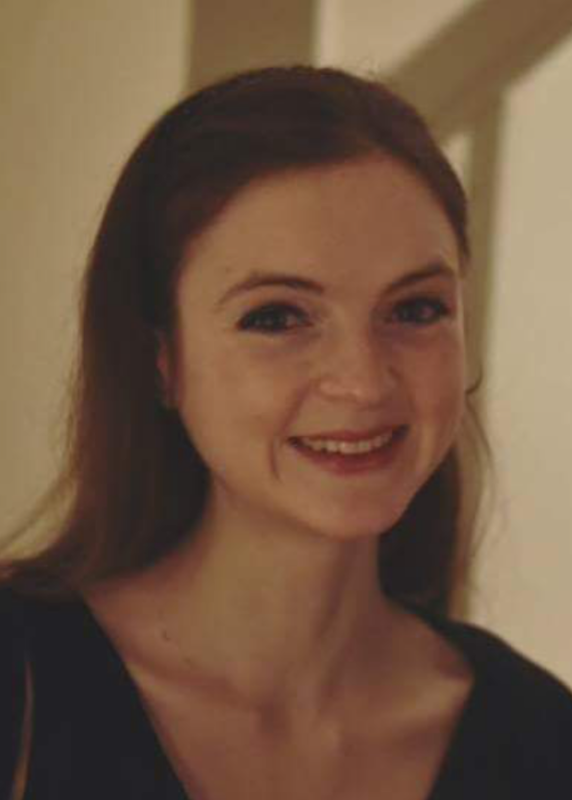 Elizabeth Campion graduated from Cambridge University with a degree in law in 2014 and is currently working as an arbitration paralegal at Hogan Lovells International LLP. This piece is not written on Hogan Lovells’ behalf or associated with them in any way. Excellent post. Really enjoyed reading it. Everyone knows that hardly any of our laws came from the EU. And that those few that did had negligible effect on parliamentary sovereignty. This entry was posted on March 27, 2017 by Constitutional Law Group in Europe, European Union, UK government, UK Parliament and tagged Brexit, Brexit judgment, European Union (Notification of Withdrawal) Bill, Great Repeal Bill, Miller v Secretary of State for Exiting the European Union.